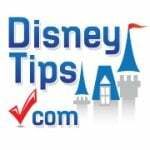 Do You Have What It Takes To Be A Disney Cast Member? As one of the world’s most popular tourist destinations, it is no surprise that most Disney cast members do need to work holidays. If working holidays is a deal breaker, becoming a Disney cast member probably isn’t for you. While guests are visiting the parks to celebrate holidays, many cast members are hard at work creating the magic that makes their holidays extra special. When I worked in Walt Disney World during the holidays however, I was still able to celebrate even though I had to work nearly the entire week of Christmas. My friends and I still had Christmas dinner, albeit at about 2:00 AM (when everyone was home from work), and being in the parks creating magic for guests is a reward in itself. If you find yourself really wanting to be a cast member, but you’re iffy about missing the holidays, just remember that you can still celebrate, it just might not be on the exact day that you’d normally think to celebrate. The Walt Disney World Resort truly is a twenty-four hour operation. Nearly every role has a third shift counterpart, and multiple shifts during the day. Take attractions for instance. In the morning, there are attractions cast members who open the ride/show, sometimes along with maintenance cast members. These cast members make sure that the attraction is running properly for when the park opens. Then there are the cast members who you’d see at the attraction while visiting the parks as a guest, and within this group there would be multiple shifts from opening to closing. After the parks close, a third shift variety of maintenance cast members would come in and get the attraction in tip top shape and ready for the next morning. Each role has a fairly similar cycle to this. Even without factoring in the different morning, night, or third shift roles, the park hours vary so much so that in the same week you could have one shift that ends at three in the afternoon and one shift that ends at three in the morning. Working at Disney means allowing your sleep schedule to be flexible, and following the ever changing park hours. Disney is a leader in the service industry for one simple reason– the company actually properly trains its cast to put the guest first in any situation. Disney’s training includes a whole lot more than a simple “the customer is always right.” In initial training as a Disney cast member, employees learn how to handle the different ways they can solve a number of problems guests might have. They also learn all of the unique ways that they can go above and beyond to make a guest’s vacation extra magical. 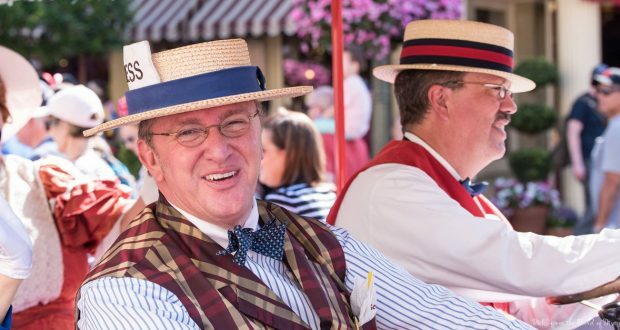 Disney is extremely unique when it comes to guest service in part due to the nature of the product, but also in that there are so many ways to create magic, whereas in other companies the only thing you can really do is smile and be polite. If you really enjoy making others happy, and would love to have some free reign to help families create some awesome memories, a role as a cast member might be for you! One huge part of being a Disney cast member is following a variety of rules. Disney has a number of rules in place for cast members both on and off stage to promote the show that the specific areas of the parks are portraying, and to ensure guest and cast safety. Some rules might be regarding the “Disney look” which dictates the appearance guidelines for cast members. Other rules are created for everyone’s safety, such as knocking before opening a door to a stockroom, not texting while driving, and properly roping off certain areas to guests during parades or other performances, just to name a few. Unfortunately, one all too common occurrence that any Disney cast member has to occasionally deal with, is comforting an unreasonably upset guest. Typically when this has happened to me, the guest has been angry about something else, and I just happened to be the first cast member he or she saw, so all of the anger was directed towards me even though the situation that made them upset had nothing to do with me. For example, when I worked at Lights, Motors, Action, we would occasionally have guests who complained to us about the Fastpass system. While we were obviously polite, and we sympathized with their concerns while doing everything in our power to rectify the situation, the problem the guest had in the first place had nothing to do with me working crowd control at a car stunt show. If you’re planning on becoming a Disney cast member, be prepared to help guests through problems that have nothing to do with you or your role, and be able to do so in the most level headed or polite way as possible. The other reason why a cast member would need to have a thick skin is because there are occasionally instances where guests do not realize the reason why a cast member is doing something, and this can make the guest irrationally angry. Case in point– parade audience control cast members in the Magic Kingdom are fairly regularly insulted by angry guests when they are asked not to stand in walkways during parades and fireworks shows. This rule is put in place for guest safety purposes– if guests could stand in the walkway, there would be no way for other guests to enter or exit during the parades. Guests are usually not interested in learning the reasons for why cast members do things like not letting them stand in walkways, and situations like this can cause them to lose their temper and say some things that the cast member may find offensive. If you want to be a cast member, it’s important to not take things too personally, and to remember that for every one negative situation you have with a guest you’ll have about another thousand positive ones to make up for it! Brittany is a graduate of St. Anselm College, where she earned her bachelor of arts degree in History. She completed two Disney College Programs, one at Dinoland U.S.A., in Animal Kingdom, and one at Lights, Motors, Action! Extreme Stunt Show at Hollywood Studios. She is the author of “Brittany Earns Her Ears,” a memoir about her experiences on the college program, and she currently resides in Massachusetts.